Our review of the Silk and Snow mattress highlights this innovative new mattress out of Canada that uses silver embedded within the mattress cover fibers, which acts as an antimicrobial barrier and prevents bacteria from growing in your mattress. Click here and save $100 on a Silk and Snow Mattress! The Silk and Snow mattress was designed to be the perfect mix of support and comfort, along with the inclusion of silver that promises to reduce pathogens and promote a cleaner sleeping environment. The Silk and Snow Mattress is a 10″ thick memory foam mattress made up of 3 layers with a silver-infused cover. 2″ Cooling and support layer – This layer is made of 2″ of 4lb. supportive memory foam which provides contouring and hug to the sleeper, as well as cooling properties. 2″ Response and transition layer – This layer is made of 2″ 2.7lb responsive memory foam, which is designed to provide responsiveness and bounce as well as aid with cooling the mattress. 6″ Bottom foundation layer – This layer is made of 6″ 1.8lb high density support foam and acts as the foundation for the above foam layers and provides deep compression support. The Silk and Snow mattress has a soft cover with silver woven in, so it is soft and supple but retains the anti-microbial benefits that silver is known for. The Silk and Snow mattress is designed to appeal to a large number of sleepers with the “universal comfort” firmness option, which offers only one firmness option and is designed to appeal to a wide variety of sleepers. The Silk and Snow mattress does a very good job at appealing to a variety of sleepers with their mattress, thankfuly. We felt that the mattress comes in at around a 6-7 on the firmness scale (10 being firmest). The multiple layers of memory foam do a good job at adapting to your bodyweight and contouring your body during sleep, as well as aid in pressure relief. As a heavier sleeper, at 230lbs, with lower density foam foundation layers used in a mattress I will sink down to our bed foundation which is very uncomfortable and one of my personal pet peeves. The Silk and Snow mattress, however, does a good job at supporting my heavier weight quite well and doesn’t cause me to “bottom out” the mattress like I mentioned above. This is important for heavier sleepers as well as couples sharing a bed. Support was very good for both of us, preventing any pressure point pain in our shoulders or hips which is quite important for us as side sleepers. Often, my heavier weight causes me pain during sleep on lower quality mattresses. Universal comfort is not for everyone and especially couples with different firmness preferences but the Silk and Snow mattress does a great job at supporting both of our different weights and firmness preferences. The Silk and Snow mattress has a very soft and comfortable exterior and when you lie down on it the memory foam layers work together to provide a balanced and comfortable sleeping surface. The top memory foam layer is actually quite responsive, and it prevents you from sinking down too much or being “stuck in foam” like many memory foam mattresses can do. The Silk and Snow mattress seemed to adapt to us the longer we slept on it, softening up under my heavier weight but remaining buoyant and responsive for Kaye, who weighs half my weight and doesn’t like to “sink down” into the depression my weight often causes in some mattresses. Both myself and Kaye felt the Silk and Snow mattress slept very comfortable especially given the affordable price, which was something that surprised us given the materials and level of quality of the mattress. The Silk and Snow mattress did not sleep noticeably hot for us, which as a couple is a very important consideration. The breathable silver-infused cover combined with the foam used in the comfort layer and transition layer all did a good job of keeping heat from being trapped beneath our bodies and the mattress. According to the company, their foam is 13x cooler than conventional memory foam, and 16x cooler than latex (which we weren’t able to personally confirm, however). 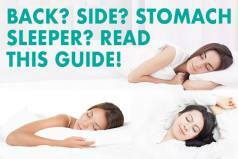 Sleeping cool is a big deal for us, as we live in Texas and when sharing a bed often end up sweating with some poorly designed memory foam mattresses. 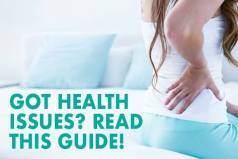 There was no noticeable heat buildup or stickiness that is a common complaint with many memory foam mattresses historically, so we give the Silk and Snow a thumbs up on the cooling component used. Sinkage is very dependent on weight, which is something we preach regularly. Many memory foam and hybrid mattresses suffer from sinkage while sitting near the edge but less so when lying down, and as mentioned previously, with my heavier weight I tend to experience this problem quite a bit with thinner and less densely constructed mattresses. We have a common complaint with mattresses that cause sinkage which makes Kaye “roll into me” during the night due to my heavier weight, and it is a big factor we look for when evaluating sinkage and motion transfer in mattresses. Thankfully, the construction and materials used in the Silk and Snow mattress prevented sinkage from occurring with us, which is rather impressive given the only 10″ depth of the mattress. Even more expensive mattresses cause this to happen with us, which is something we don’t like at all. Kaye rarely has this problem with her lighter weight so did not experience much sinkage which is great as it relates to couples sharing a bed with different weights. As for motion transfer, Kaye and I experienced quite a low amount of motion transfer. There was none of the “bouncing” or “rolling in” to my heavier side which has been a problem with many memory foam mattresses for us. The Silk and Snow mattress had a small amount of odor or off-gassing when opened, just about average for a foam compressed mattress. Any odor that was present dissipated within 24 hours, which is normal for beds that are wrapped in plastic and compressed and boxed for shipment. The Silk and Snow mattress is priced extremely well compared to other bed in the box mattresses, coming in at $750 for a queen. The Silk and Snow mattress does a great job at providing a universal comfort mattress at a great price with a unique sliver infused design and quality materials compared to similar mattresses in the space. The fact that it comes from Canada and ships free to both Canada and the USA is a great benefit for Canada residents, who often don’t have much choice compared to USA based companies which often won’t ship to them for free. 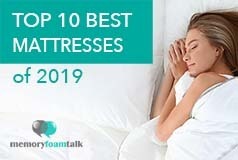 We have tested other mattresses coming out of Canada and feel Silk and Snow is the best mattress in Canada, hands down. The Silk and Snow mattress uses very high quality memory foam which delivers a comfortable and supportive night sleep at a very good value compared to most mattresses on the market today. In addition, the innovative inclusion of silver in the mattress cover does a great job at preventing bacterial build-up which we have not seen in a mattress yet to date. The 10″ mattress provides great comfort and support and is a great choice for couples such as us with rather unequal weight distribution. We experienced minimal sinkage and not much motion transfer when sleeping together which is important for couples and especially ones with a big difference in weight. We like what Silk and Snow has done with this mattress and the use of silver, which sets it apart from the multitude of bed in a box mattresses being introduced into the market lately. This mattress is very impressive and given the level of quality is something we often see with mattresses costing much more. 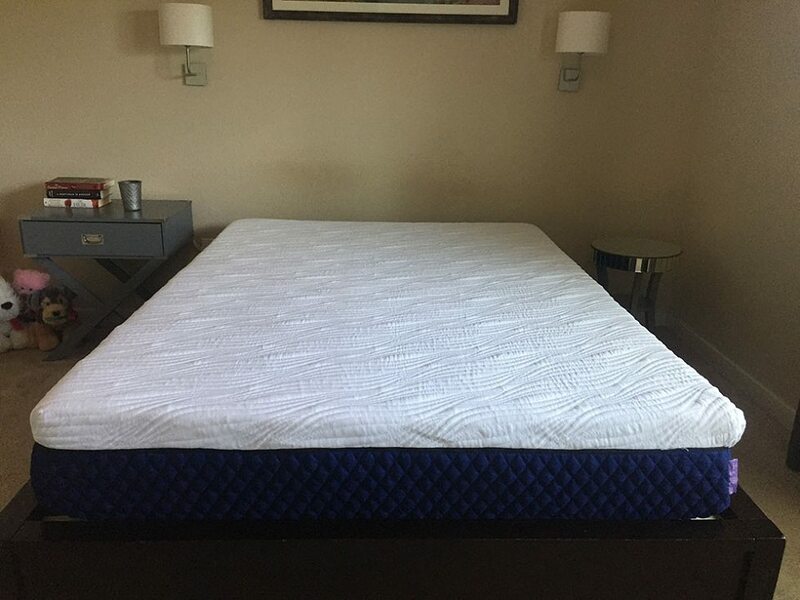 We hope this review of the Silk and Snow mattress helps you out in your next purchase of a new mattress!